Cryptocurrencies emerge thick and fast in the online world – some receive financial backing and grow to become major players in the market such as Bitcoin, Ethereum and Litecoin; whilst others fail to gain traction and simply fizzle out or serve a niche purpose. Knowing which type of cryptocurrency to back, or which to invest in can be a true minefield – the value of cryptocurrencies are usually volatile and can fluctuate wildly for seemingly no reason at all. You could invest a £1000.00 in a cryptocurrency and the next day it would be worth double. The day after that, however, its value could have plummeted and you could be in negative equity – this type of ‘currency’ really can be that unpredictable! Po.et is commonly known as POE and we will call it that for the remainder of this article – it stands for Proof Of Existence Token. POE is a digital currency based on blockchain technology that uses decentralised protocols for generation and transferral. “On top of offering an immutable certificate of ownership, Po.et also aims to be a platform for creators to be discovered. You can add your digital content to different marketplaces to be featured and properly licensed. The marketplaces use Po.et’s token, POE, to uniquely incentivize members to add and fairly rate relevant content.” Coin Central. The idea for POE was first conceived in 2016 at Bitcoin Magazine (the birthplace of the popular token Ethereum) and was eventually revealed in 2017. Since then, POE has been developed and payment channels have been created allowing instant micropayments using the currency. POE was initially developed as a form of token of ownership for content creators and as you will see below, it is a fantastic currency that helps protect and distribute intellectual property. 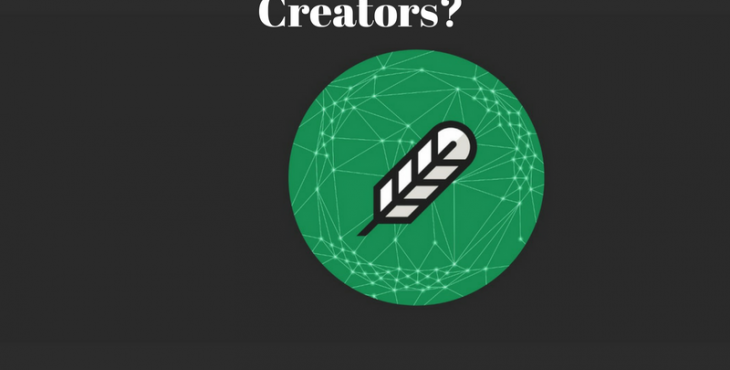 Why is Po.et (POE) Potentially Great for Content Creators? 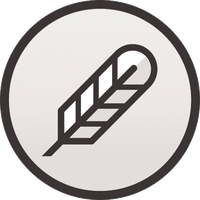 As mentioned above, POE is a tool for content creators – writers, musicians, lyricists and artists can use this currency to monetize their original productions for example. Content creators can purchase POE tokens for their content – this provides a means of ownership and helps protects their content from infringement and unlawful copyrighting. POE maintains a content network and users can register publications under their personal profile and monetize the publications rights – other users can share and make use of the content for a fee – the transaction process is cheap and extremely fast. Furthermore, POE uses encrypted Blockchain technology which means that a content creator’s work will remain secure at all times. Finally, POE also provides facilities for content producers to distribute their work to third-party platforms which is great for exposure and business. Should You View Po.et as a Potential Investment? What makes POE stand out aside from its great use as a form of content protection and distribution is that it can also be used as a standard type of cryptocurrency. As POE is based on blockchain technology, it can be used as a payment method – this makes it extremely versatile in comparison to some other niche cryptocurrencies. Furthermore, POE appears to have solid backing from individuals who worked on the original Bitcoin digital currency – it has not been created by amateurs – these guys clearly know what they are doing and will support POE for the long haul. The CEO Jarrod Dicker has previously held some high profile positions within the media industry, including at the Washington Post. These factors mean that POE does have potential as prudent investment – furthermore, as with many new cryptocurrencies; prices are currently extremely low therefore investing even a small amount in POE could potentially yield major gains in the future. The most popular exchanges to purchase Po.et are Binance and OEX. What are The Current Trends for Po.et? POE is currently selling for approximately $0.03 or 380 sats (fraction of a Bitcoin) for one token. It is estimated that there are approximately 2.2 billion Po.et tokens in circulation with a market value of $65 million USD. During the initial months of the public release of POE, prices remained low and fluctuated minimally – since December 2017 however there has been an increase in the unit price before a dip in the entire market happened around February 2018. A WordPress plugin is available for testing Po.et. The idea is that content creators can ‘timestamp’ their works. A hash will be created on the Blockchain, identifying the original content producer, the date of production / publication. It remains to be seen how this will be rolled out on a larger scale and ultimately the first court case where Po.et is used as evidence could prove a pivotal moment for content creators and media professionals around the globe. As you can see, the future of POE certainly appears to be interesting – we feel that this cryptocurrency has huge potential for protecting content and as a content marketplace as a whole. Disclaimer: The above article is not meant to constitute financial advice in any way or replace any advice from a certified financial advisor. The author may or may not have investments in po.et cryptocurrency.